With the mood of Olympics 2012 already setting in and that too in London, MINI has joined in the league to leverage the sponsorship of BMW in the games. The automakers launched a couple of MINI Special Edition cars a week back, exclusively keeping the Olympics setting in this spring in mind. London’s best known lifestyle-district has been set to be honored by the automakers with the introduction of Mini Bayswater 2012. 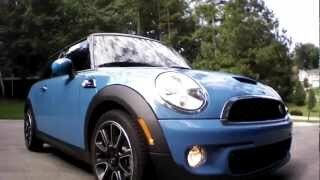 The automaker made a positive move to give the well known MINI Hardtop a fresh look with the introduction of Mini Bayswater 2012 Special Edition. Its launch being an honor to the world’s oldest sports event platform, the company stressed on giving sporty look to its special editions. It has been launched in the Kite Blue metallic exterior painting, and at the same time providing an exclusive 17 inch-light weighed alloy Sandblast wheels, which itself features glossy black surfaces with precisely machined rim & spoke edges. Though the same model is also available in a couple of more vibrant colors, viz. Midnight Black metallic & Eclipse Grey metallic, but they are only available in the Cooper S and Cooper SD versions of the car. 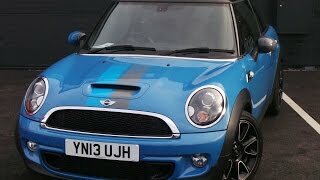 Mini Bayswater 2012 also features a contrary metallic black roof top finish and also includes sport stripes emerging from the bonnet with a dynamic streak towards the windscreen and the side. The sporty stripes charisma continues even beyond this. The car has Piano Black cockpit trim stripes which continue the set path by the bonnet strip. Apart from these features the exterior mirror caps have both these two vibrant colored stripes on it, the Kite Blue on the right and Grey on the left one. These two variant colors are used in the stitching of the interior leather works that feature Rocklite Anthracite shade with side bolsters that sports a metallic sheen. Now if someone wonders what’s the use of these sporty looks and what else is there that I can think of it? Well, the Mini Bayswater 2012 has more features that the user can zero in on Mini Bayswater 2012. The car has been installed with powerful engines of 90kW/122hp in Cooper, 135kW/184hp in Cooper S, 82kW/112hp in Cooper D and 105kW/143hp in Cooper SD models all having exclusive 6-speed manual gearbox as default and the automatic one of the same in optional ranges, giving the customers a gamut of engineering features. 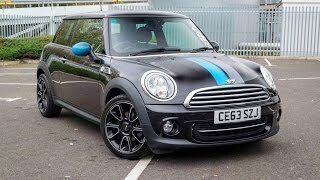 All the aforesaid features of Mini Bayswater are available with an introductory price of around 18,000 sterling, and 23,000 odd sterling for the Mini Cooper SD Bayswater Auto. Finally, this move made by the MINI to pay tribute to the London culture and the millenniums old Olympics is quite appreciable and it’s worth it if one thinks of getting himself or gift someone special this car in this sporting mood. It’s the best deal for the season. New city slickers: The MINI Baker Street and MINI Bayswater. Olympic host city and style capital London provides fresh design inspiration for MINI special editions. New models boast exclusive equipment and tradition-laced titles. Woodcliff Lake, NJ – January 19, 2012 — Olympic host city and style capital London provides fresh design inspiration for MINI special editions. 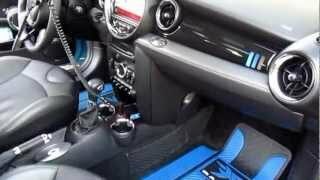 New special editions based on the MINI Hardtop boast exclusive equipment and tradition-laced titles. With just months to go before the Olympic Games get under way in the capital city of the brand’s home country, MINI introduces two new special-edition models to spread contemporary London style around the world. The latest takes on the MINI character – the MINI Baker Street and MINI Bayswater – will go on sale in spring 2012. Expressive design features and exclusive equipment inject the cars’ exterior appearance, interior ambience and hallmark driving fun with their own distinctive flavors. While both use the MINI Hardtop as the foundation, the MINI Baker Street embodies the youthful, fresh and innovative trend-setting style of the brand, while the MINI Bayswater focuses primarily on the sporting verve and agile handling for which MINI is renowned. MINI Baker Street: an individualist with a taste for extravagance.